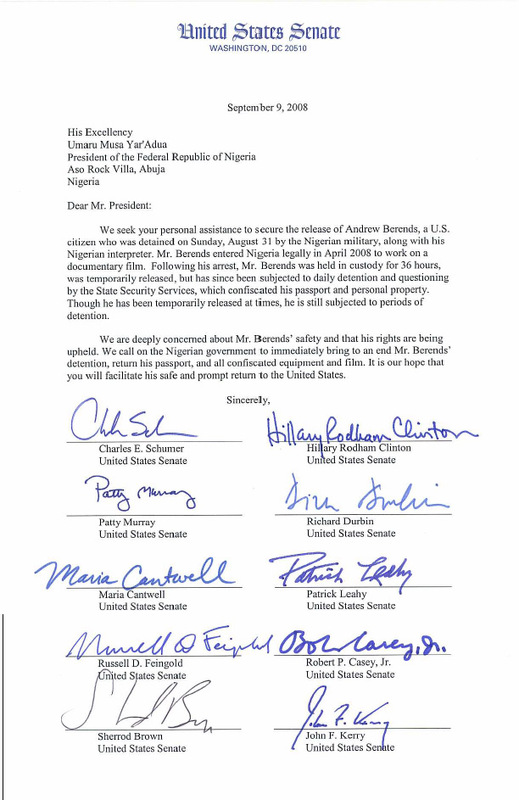 Today Senators Schumer, Clinton, Murray, Durbin, Cantwell, Leahy, Feingold, Casey, Brown and Kerry joined together to seek Andrew’s immediate release in a letter to the Nigerian President, Umaru Musa Yar’Adua. Thank you to all of you who called and advocated on his behalf. The letter appears below. Please continue to check back here for updates on this situation.